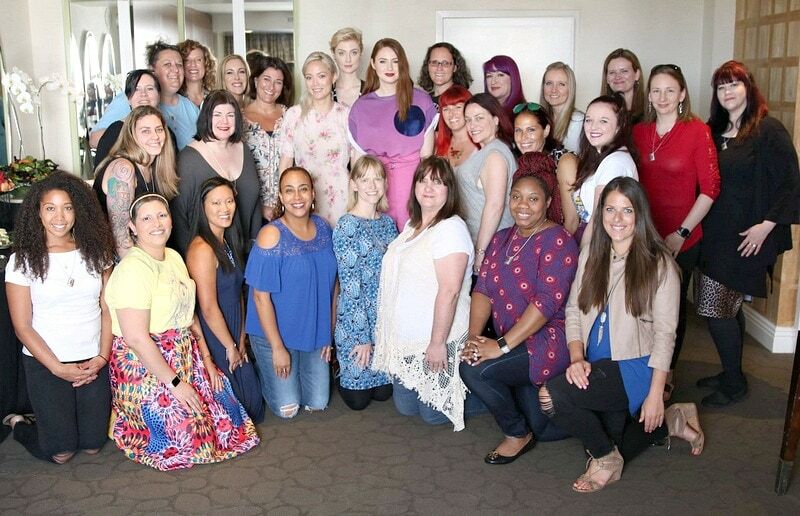 Guardians of the Galaxy Vol 2 introduces some new characters to the mix and we had the opportunity to interview a few of the amazing ladies in the cast as part of the #GotGVol2Event. Disney provided me with a most-expense paid trip in exchange for my coverage. I can’t wait to introduce you to some of the women of Guardians of the Galaxy Vol 2 cast! Our interview included an amazing trio of women, including a familiar face and a few new ones! It was amazing to have the opportunity to chat with the actresses behind three female characters that are extremely different. All three characters have some amazing makeup effects going on which was a huge part of our interview. 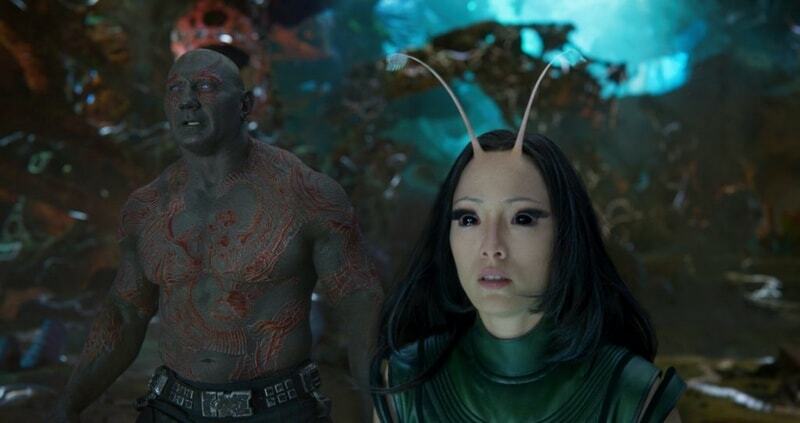 If you’ve ever wondered about the makeup process for those crazy characters that seem to pop up in the Guardians universe, we got a little more insight into what the processes can be like! Nebula’s makeup was one of the most intense and took about four hours each day. 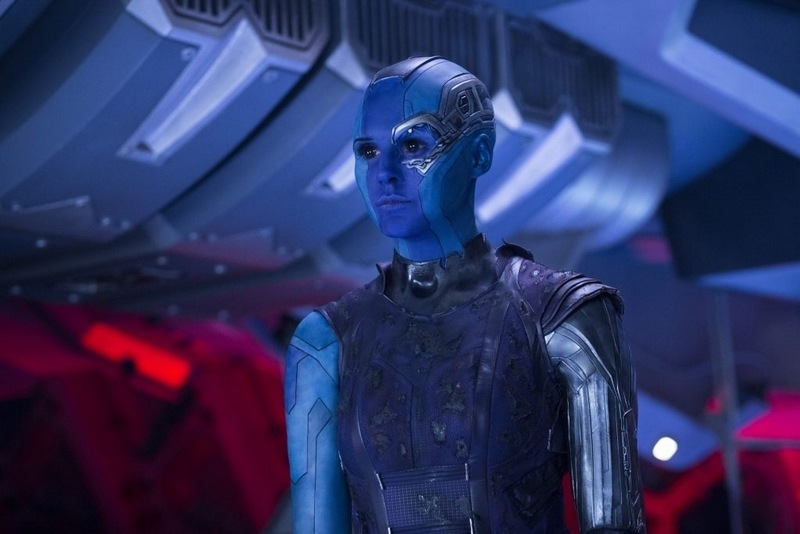 Karen Gillan said it was slightly intense and claustrophobic but the makeup application process started to become part of the way she got into character before filming. Mantis’ makeup was a bit easier and only took about two hours a day to finish. She said would often forget about the antennae on her forehead. The most challenging part were the contacts that she wore. They were really big and covered nearly her whole eye, giving her tunnel vision and making her feel like she was in her own world. This helped her with getting into character too. Ayesha’s makeup was one of the easiest in Elizabeth Debicki’s opinion. It only took 1.5 to 2 hours a day and she basically just had to sit while someone painted her. What was more challenging for her was her costume. Her dress is almost all metal and very heavy. She said it felt like a small child was hanging onto her back! When we asked what messages they hope girls might take away from their characters in Guardians of the Galaxy Vol. 2 they all had some thoughts about being part of such a special project. Pom Klementieff wants girls to know that it’s okay to be imperfect and weird sometimes. Just be you. Elizabeth Debicki chuckled at what message her character Ayesha might be sending. She laughed that she would advise girls not to be like Ayesha but admitted that the character is a very strong female, even if her moral compass is slightly askew. 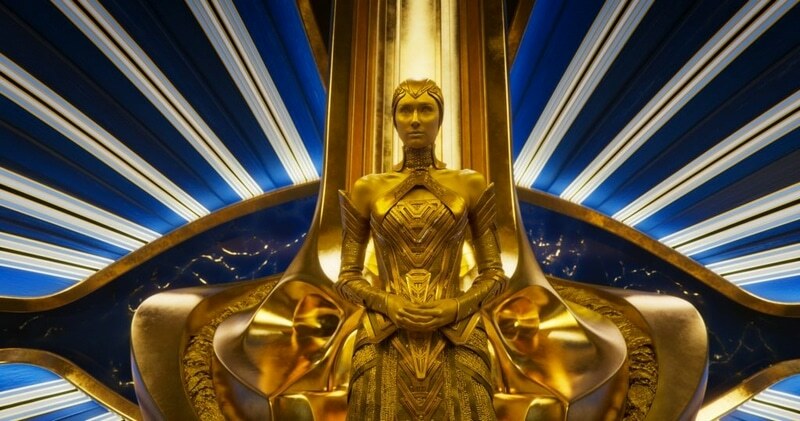 Karen Gillan pointed out that Ayesha represents a strong female in a leadership position which is something she enjoyed seeing in the movie. Ayesha is an extremely imperfect woman in leadership. The message that girls and women are strong and can be anything they want to be is one of my favorite things about this new Guardians movie. I hope one day Carrigan will want to enjoy getting caught up in the world of the Guardians with me! « Fabulous Flower Craft Ideas for Spring! Or Mother’s Day!